Victoria Park, Hackney E3 (meeting point and on the day contact number will be advised on booking). Please come weather prepared! "Like a sparrow’s song, foraging calls you to look around. It lures you to observe and indulge in the gentle rhythms that unfold with the seasons. It’s mindfulness at its best. Wild food is also incredibly delicious, offering a fresh palette of new and exotic flavours which are rich with nutrients, but it’s incredibly nutritious." 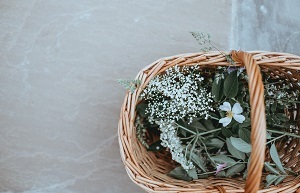 Fee: £35 (£28 Concession**) inclusive of VAT, includes tasters made with foraged ingredients and an informative handout with tips on foraging and recipes. Please come weather-prepared (the class will not be cancelled in case of wet weather). Location: Victoria Park, Hackney. Meeting/finishing point: just outside the Pavilion Cafe. Please arrive a few minutes early to allow a prompt start.